Port Mansfield fishing guides, tournaments, Port Mansfield Texas, charters, Arroyo City, rental properties, bay house rentals, beach house rentals, Port Mansfield, Arroyo City, Baffin Bay, Laguna Madre, fishing guides, South Texas bay offshore fishing, Port Mansfield, LagunaMadre, Corpus, Aransas, Rockport, Lower Laguna Madre fishing guides and charter. 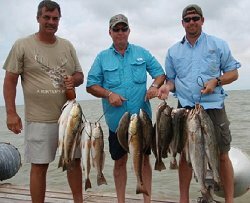 Port Mansfield is one of the most popular fishing destinations on the Texas Gulf Coast, located on the Laguna Madre, opposite Port Mansfield Channel in northeastern Willacy County, Texas. 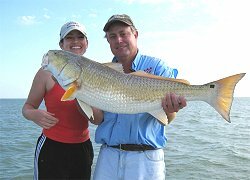 Once an isolated and obscure fish camp known as Red Fish Landing, today Port Mansfield is recognized as one of the ten top fishing locations in the United States. 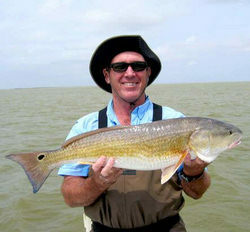 Port Mansfield offers fishermen access to the Laguna Madre, Padre Island and the Gulf of Mexico. Boaters and fishermen enjoy the uncrowded and unpolluted environment of Port Mansfield and South Texas. Each July the Port Mansfield Chamber of Commerce sponsors a Fishing Tournament attracting anglers from all over the State of Texas to compete. The fishermen compete for prizes and trophies for both Offshore Fish, such as marlin and sailfish and for Inshore / Bay Fish, such as trout and red fish. 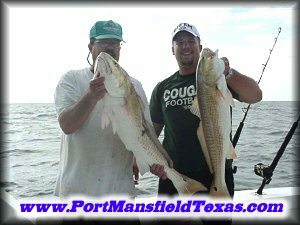 Come to Port Mansfield, Texas, and experience the fishing trip of a lifetime! Light up the night with the newest LED flounder gigging lights! Gulf Coast Waders offers you the best value in both Breathable & Neoprene waders made today! Great Vacation Rental - Click Banner for More Information! PORT MANSFIELD, TEXAS...... Port Mansfield is a port and fishing community on the Laguna Madre opposite Port Mansfield Channel in northeastern Willacy County, Texas. 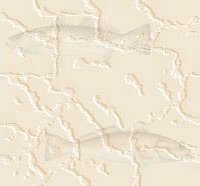 At one time in early Texas history, Port Mansfield was an isolated fishing camp known as Red Fish Landing. The port was opened in 1950 by the United States Army Corps of Engineers to be used as a harbor between Corpus Christi and Brownsville. It was named for United States Representative Joseph J. Mansfield, who introduced the Mansfield Bill authorizing the extension of the Gulf Intracoastal Waterway from Corpus Christi to the Rio Grande. In 1957, when the first pass was cut through Padre Island, the little settlement had a few residences, some port buildings, a motel and one store, and a few fishing cabins. The final Port Mansfield Channel was completed across Padre Island in 1962. 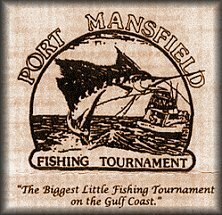 The ensuing tidal exchange between the Gulf of Mexico and the Laguna Madre produced an abundant population of redfish, brown shrimp, and flounder, and greatly expanded the sport and commercial fish economy of Port Mansfield. 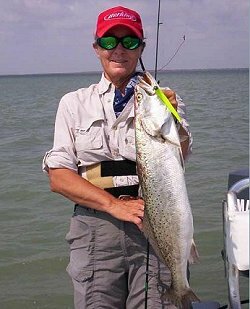 Fairwater Charters is a full time guide service specializing in drift and wade fishing for trophy sized Speckled Trout and Redfish. Captain Todd fishes out of a 23 Shoalwater Cat offering a smooth and dry ride with a stable fishing platform. All ages are encouraged to participate in an unforgettable learning and fishing experience form a professional guide. Whether you fish for fun or an avid angler, Captain Todd will work diligently to provide you an exciting and memorable fishing adventure. Capt. Sauls has 18 years experience fishing the Laguna Madre out of Pt. Mansfield. He fishes an 18' Shallow Sport powered by a dependable 140 hp. 4 stroke Suzuki outboard. This rig can comfortably accomodate up to 4 anglers. Put Eric's experience catching trout, redfish, & flounder to work for you! Wade fishing and drift fishing for redfish, trout, and flounder. Cast & Blast trips are available during months of September and October. 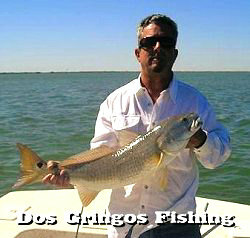 Captain Clifton Smith at the helm offers quality, affordable fishing along the coastline of the Lower Laguna Madre. 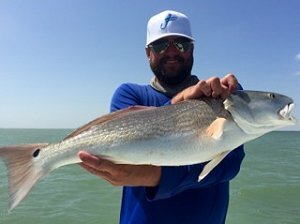 Based out of Port Mansfield, Texas, Captain Smith specializes in both wade fishing and drifting for redfish and speckled trout. 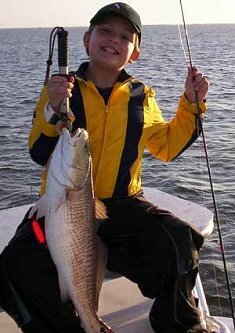 Family or small group trips of all ages are encouraged to participate in a memorable fishing and learning experience from a professional angler. Whether you're a novice fisherman or angling is your passion, Captain Smith is guaranteed to provide you with an unforgettable fishing adventure! Call 956-642-7362. or email captaincliftonsmith@gmail.com. Fish the pristine waters of the Lower Laguna Madre with Capt Jack Klostermann. 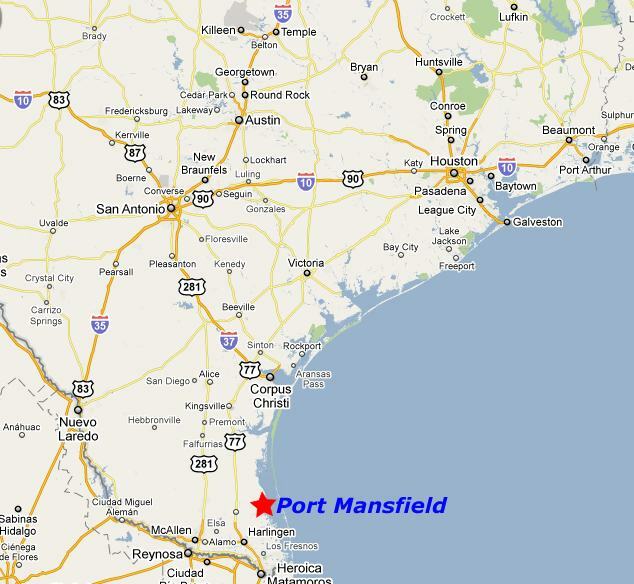 Port Mansfield is located in the heart of the longest stretch of undeveloped coastline in the continental U.S. This equates to more fish and less fishermen. Wade or drift, live bait or artificial, novice or expert, we catch fish. Kids welcome. Call 956-245-5008 for information. Captains Janie and Freddy Petty, Fishing out of Laguna Vista, Texas, have been guiding saltwater fishing trips on the shallows of the Lower Laguna Madre for over 25 years. Being born and raised right here in the lower Rio Grande Valley, we both have a deep love and respect for the bay that has become the center of our life's work. Freddy spent most of his youth tagging along with the "old timers" while learning more about this bay than anyone I know. I grew up fishing with my father in the surf and offshore. We each captain an 18' scooter made especially for stalking trout and redfish in the amazingly clear skinny water we call home. If you are a fishing guide and want to be included here, email us for details! If you are a Port Mansfield Business and wish to be included here, Email us for details. Need a Web Site? Quality work, Fast setup...Give Us a call 800-785-9298.